Suzuki Motor Corp would most likely supply 20,000- 25,000 units of the Maruti Baleno to Toyota Motor Corp as part of phase 1 of the agreement that would see both the manufacturers jointly produce and sell cars in India. Toyota and Maruti Suzuki recently announced a partnership for India, which will see Toyota getting the Maruti Suzuki Baleno and Vitara Brezza and Maruti getting the Corolla Altis to rebody and rebadge for sale in the country. 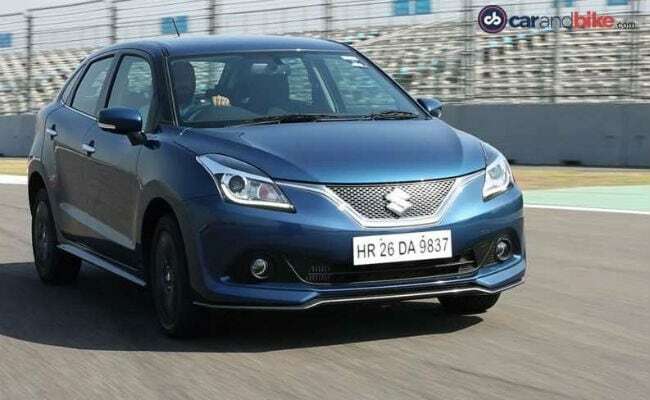 And now, according to reports, Suzuki Motor Corp would most likely supply 20,000- 25,000 units of the Maruti Baleno to Toyota Motor Corp as part of phase 1 of the agreement that would see both the manufacturers jointly produce and sell cars in India. Maruti will supply the said units of the Baleno each year to Toyota for its own re-bodied and re-badged versions and will be sold through the Toyota dealership network from mid-2019. NDTV carandbike has reached out to both Toyota and Maruti Suzuki on the potential development and is awaiting a response for the same. Speaking to Livemint, the spokesperson said that decision has already been taken by both the headquarters in Japan and the first vehicle to be launched will be Baleno. Moreover, both the companies have already decided on the number of vehicles to be supplied. Reports also suggest that the re-badged Baleno would see minor changes to its exterior as well as its interiors. Both Maruti and Toyota are tight-lipped about these changes. However, we expect visual changes to the headlamp cluster, the front grille and tail lights as well and of course, a new set of bumpers and alloy wheels. The announcement comes in after reports surfaced late last week about a potential investment from Suzuki of $1 billion into the Toyota manufacturing plant in Bidadi just outside Bengaluru. Toyota will re-badge the Baleno for now, followed by the Vitara Brezza as part of the agreement. In return, Maruti will get the Corolla Altis for a rebody and rebadge and retail it from its dealerships. However, if Maruti retail it from Maruti Arena dealerships or the premium NEXA showroom is still unclear. That said, considering the fact that the Maruti Suzuki version of the Corolla will be a flagship offering for India's largest automaker, we expect the NEXA showrooms to be used as the preferred retail outlet. At present, Toyota's facility has a capacity of 1.5 lakh units a year, which will drastically increase once the Suzuki investment kicks in. The report says that the investment will modernize the facility while expanding it as well. The investment will equip Toyota to increase the production capacity of its plant as both the Baleno and Vitara Brezza are mass market products while the subcompact SUV and the sub 4-metre premium hatchback segment are the most popular segment.